Google is constantly changing its ranking criteria and the algorithms used to rank content on search engine result pages. One of the more recent shifts in ranking results has to do with Semantic Search. This term is not really new and people have been searching this way for quite some time – remember some of the legacy search sites, like Ask Jeeves and Ask.com? The contextual meaning between the terms and words used in the search. The relationship between related words and phrases. The searcher’s actual intent of what they are asking or searching for to provide relevant results. For Google, Semantic Search started to become more important when they released their Hummingbird update back in 2013. This update focuses more on the three factors mentioned above, not just individual short-tail or long-tail keywords, to better improve a person’s searching experience and provide them with pages that match their intent and meaning. RankBrain is another algorithm used by Google to display search results. This algorithm was developed using Hummingbird algorithm, but also adding a new component to the mix – machine learning. RankBrain is able to take a search query and analyze it and compare it to other similar queries others have entered rather than just keywords and specific phrases. After conducting its analysis, RankBrain, then looks for relevant pages using other metrics and ranking factors, such as click-through rates, feedback from Google users, time spent on the page after clicking through, pogo-sticking, and so on. Based on these and other such factors, as well as taking into account how similar the pages are based upon the search, RankBrain then compiles a list of relevant search results and displays them. Now that you understand a little more about Semantic Search and RankBrain, let’s return our focus to this topic’s question and whether these are good SEO (Search Engine Optimization) strategies to follow. To illustrate the differences between keyword focused strategies and Semantic Search and RankBrain strategies, you need to think about how you want to build your content. For instance, you develop a list of ten to twelve relevant topics you want to turn into blog posts. Upon writing the initial blog posts, using the keyword approach, they end up averaging around 200 words each. Using the keyword approach would not be that effective because the length of the content is another ranking factor used by Google. Instead, if you used the Semantic Search and RankBrain approach, you would take and develop one long form article combining the topics, sort of an “Experts Guide” on the subject. This approach would not necessarily focus on keywords, but rather the quality of the content and be topic-based, allowing Google’s algorithms to do the rest and rank the content. Which strategy is best? It really depends on your objectives. Ideally, you want to create your content and posts using a mixture of the old and new methods for an even balance, while developing actual semantic keyword phrases focused around searcher intent. 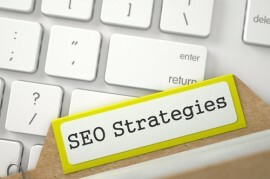 For more information about developing effective SEO strategies, contact Webryze as (416) 900-1047 today!